Another researcher at the press conference stated that system-wide, market-friendly reforms have occurred in the financial sector following Kim’s rise to power. 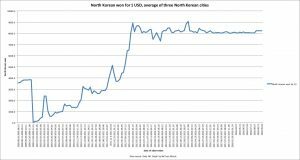 North Korea under Kim Jong Un has been implementing a policy where “idle currency” is absorbed into the official economy. The policy is significant because it shows that the state is partially adopting capitalist practices. 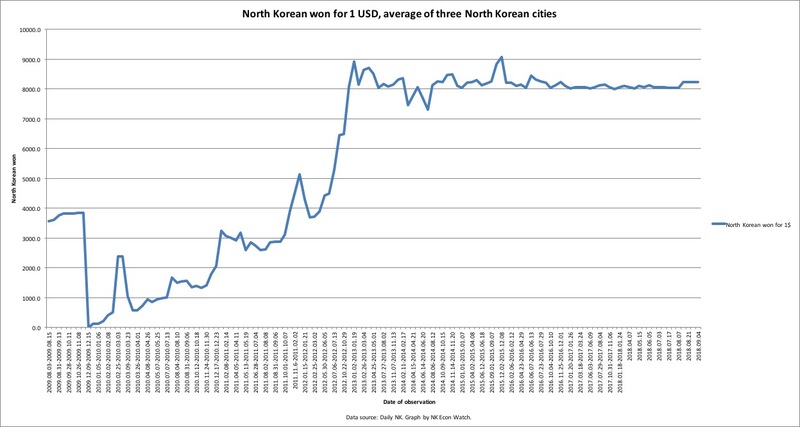 “What is more interesting is that the North Korea’s Central Bank launched a domestic electronic payment card called the Jongsong Card in 2015, and the number of stores accepting the card is increasing […] The use of electronic payment cards is increasing in Pyongyang and their use is expanding because [consumers] benefit by being able to prevent exposure of their identities, and are not burdened by the need to accept change during their financial transactions,” Jung concluded. There is likely much more happening under the surface in North Korean financial development than what reaches the audience in South Korea in the rest of the world. (See, for example, Peter Ward’s recent twitter-thread on financing of state-owned enterprise operations). If this assessment is true – that North Koreans have, in sizable numbers, been receiving interest on their deposits, it’s pretty significant. I’m not fully sure it’s a new development, but given the backdrop of the past few years – not least the currency revaluation in 2009 – it would mean that the official banking system has been able to gain some hard-earned trust back from at least a portion of citizens. Now, it’s entirely possible that people are primarily depositing money for other reasons than savings. For example, with the payment cards that have popped up in recent years, people by definition have to deposit their cash with state-owned banks to use these cards, which many may do simply out of convenience. And then, the deposits earn interest as a nice side-effect. It’s certainly notable if more North Koreans trust that state-owned banks won’t confiscate the hard-earned cash that they choose to deposit, but it might not be a revolutionary development. A group of South Korean officials left for North Korea on Wednesday to conduct a joint inspection of forests and protect trees from harmful insects and diseases, the unification ministry said. The officials led by a senior forest agency policymaker crossed into Mount Kumgang on the North’s east coast, where they will jointly examine the forests there, according to the ministry. They will return home later in the afternoon. The one-day trip follows up on the agreement reached during working-level inter-Korean talks early last month for forestry cooperation. They agreed to cooperate in protecting forests along the inter-Korean border and in other areas from damage caused by harmful insects and diseases. The two Koreas conducted a similar on-site inspection in July 2015 near Mount Kumgang. Two months later, they carried out efforts to fight insects and other damage, which was said to have cost them over 100 million won (US$89,400). Meanwhile, the North will send six transport officials to the South on Thursday to hold a meeting and discuss details related to their cooperation in modernizing and possibly connecting railways over their border, the ministry said. The meeting, the second of its kind, will be held at the Customs, Immigration and Quarantine (CIQ) office in Paju, just south of the inter-Korean border. It came after their first meeting in Kaesong last month to discuss the outcome of an inspection of the conditions of the 15.3 kilometer-long railways from the North’s border town to the Military Demarcation Line (MDL) that separates the two Koreas. You are currently browsing the archives for the DPRK organizations category.